Every year for the last 14 years, we have celebrated the Resurrection with our dearest friends. An impromptu invitation on “Easter Eve” in the middle of Walmart began what has become our cherished tradition. Both our families know that despite rain, hail, sleet, and snow, we are equally determined to attend this event and enjoy our time together. We’ve watched our kids grow up and now have seen several marry and have kids of their own. We eat ….. alot! We also play alot, sit around and try to keep each other from napping and then open the leftovers again later to eat again! 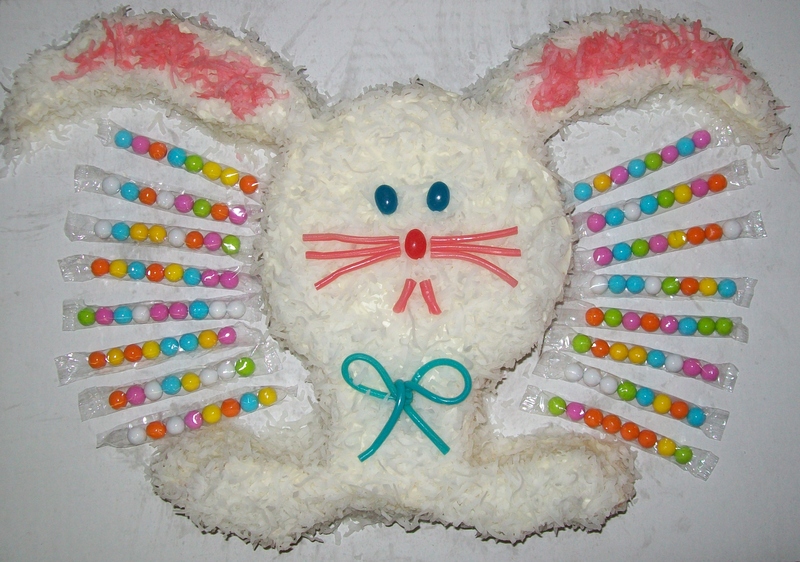 Normally, I make the same things: Banana Pudding, Chocolate Cake, Bread, a Vegetable, etc. Not THIS year though! I had extra time and decided to play with some recipes that had long been selected for experimentation. 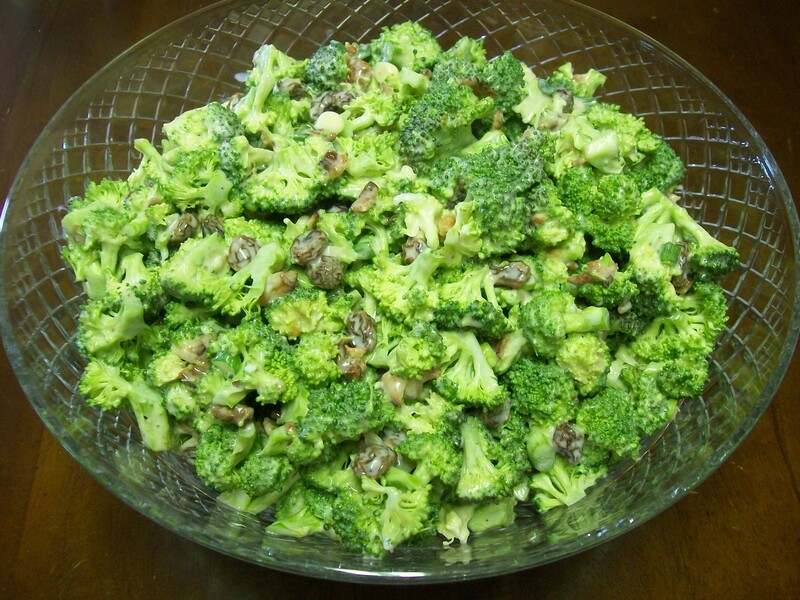 I don’t eat alot of raisins, but they really work in this salad. Normally my BFF makes this and I do the banana pudding, but this year we switched out on those two items! 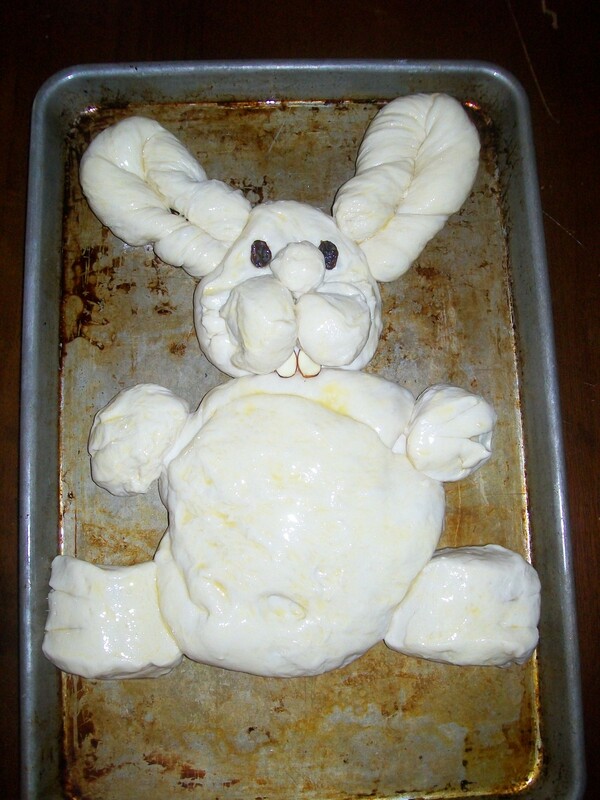 I started with thawed, frozen bread dough, shaped it like this, brushed with egg, let it rise a bit and put into the oven. Isn’t he cute?!! As a bonus, the bread dough also naturally made a little belly button for him! 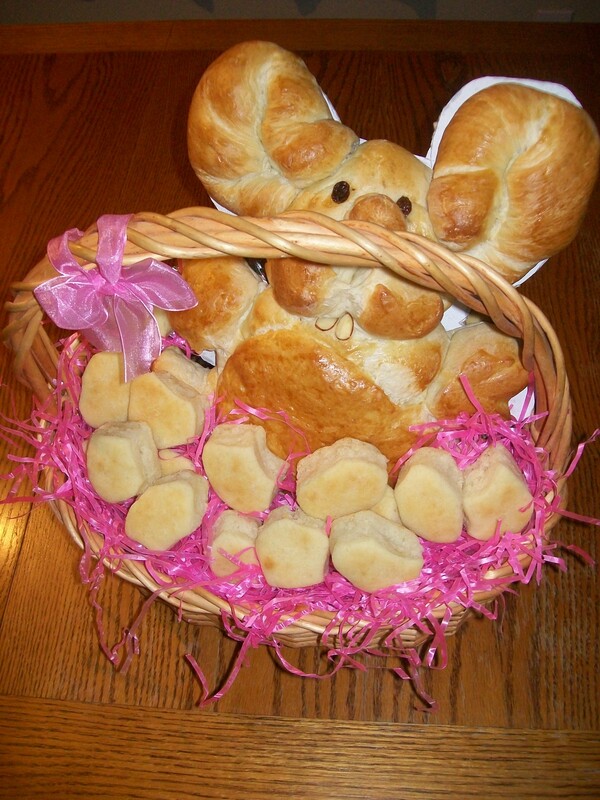 We needed more bread than what the bunny affords, so I made extra rolls and placed them all in the basket together. 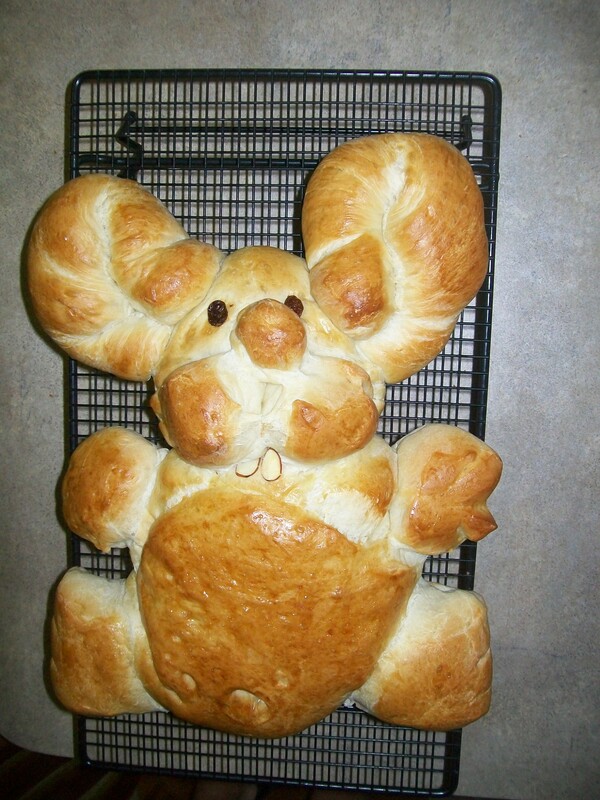 Who needs a chocolate bunny when you can have BREAD! Our annual BFF Easter event is always a blast! It was aNOTHER great time with our friends family. I can’t imagine spending the best day of the year with anyone else! …even when there’s a dollhouse in the room! I love that they will play house with the grandbaby! They are such proud uncles and have already proven their love through numerous toe nail paintings, tea parties and even an occasional “rock the baby” moment. 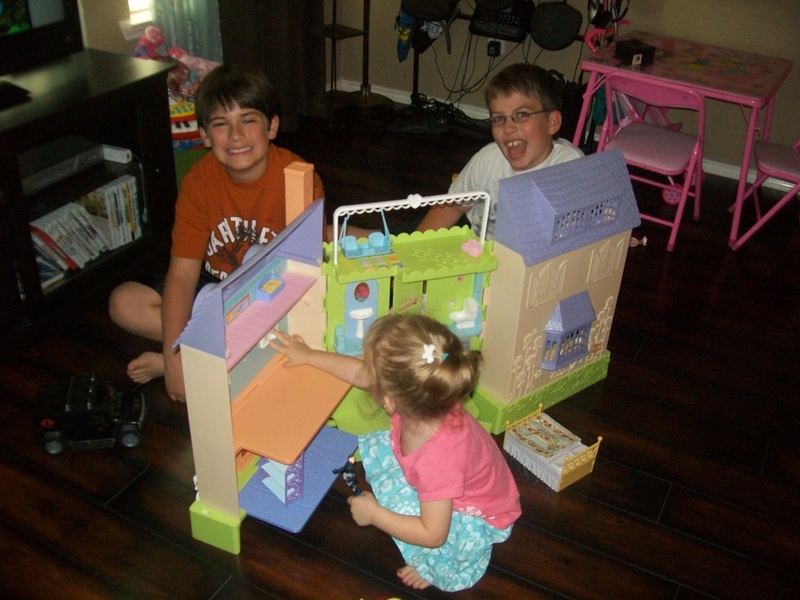 What especially warms my heart today, though, is seeing them play with the dollhouse even though the grandbaby is not here! At their ages, it kind of feels like the last time I saw my daughters playing Barbies. Knowing they are growing up so fast makes me want to just duct tape all their favorite toys to their bodies and pray it stops time just for a while longer. Though still maintaining a nice level of masculinity, they have spent the last 30 minutes moving cars and dogs throughout the dollhouse’s corridors. They like to press the button that flushes the little dollhouse commode. The little kitchen adequately provides make-believe snacks…every 5 seconds…just like my boys really demand. The doll swing goes round and round just like what all little boys believe they experience on the playground, regardless of what limb or body part may be broken in the failed landing. My boys still play “house”. Yay! And now I have this picture to use for blackmail during their teenage years! (In my most sinister voice…) Bwa ha ha haaaaaa! 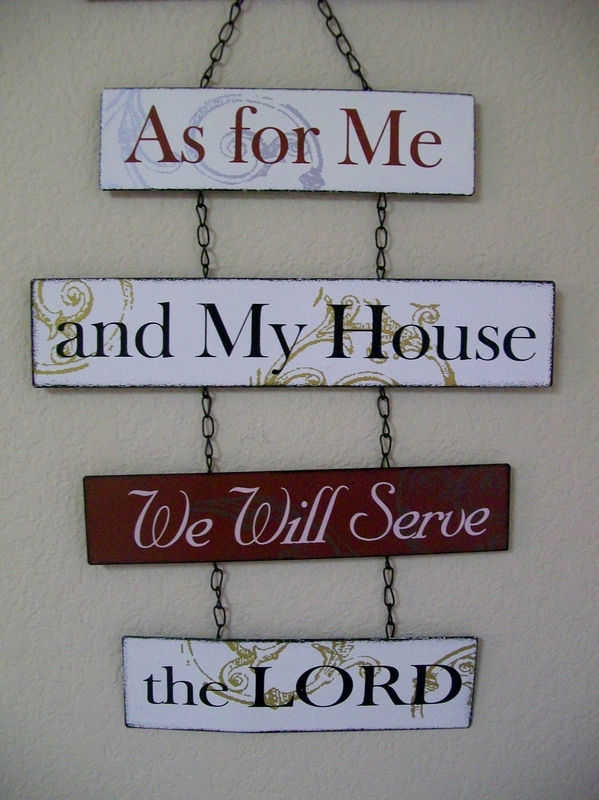 This is our read through the bible blog page: http://www.bookchapterandverse.wordpress.com . Several of us have been attempting to do this since the beginning of the year. 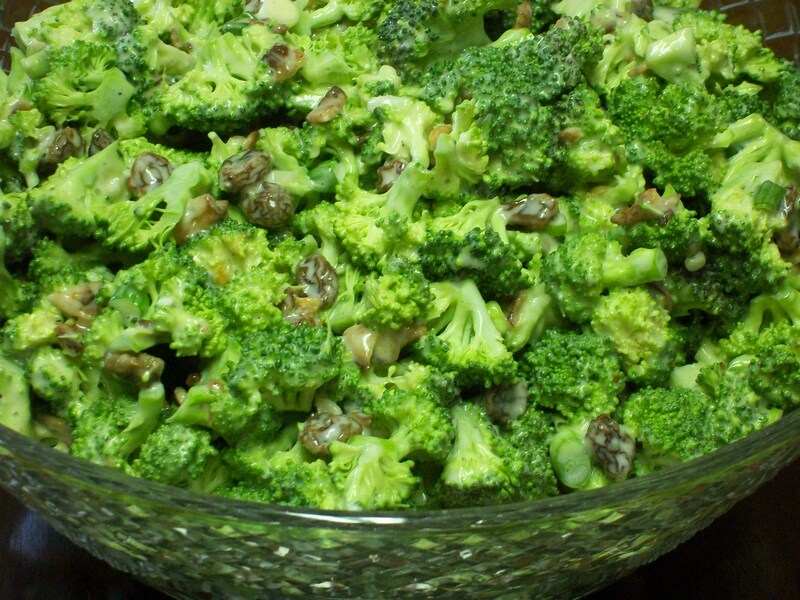 We started with 13 and are down to only a few, just as all New Year’s resolutions seem to go. Did you know that statistics show all New Year’s Resolutions are broken by week #4? Well, the good news is that reading the bible is always a good idea. Whether it be started on January 1st, June 1st or December 1st, we can all benefit from learning more of God’s word! Today, we are playing a little memory game. Feel free to join in and participate! Answers will be posted later this evening. Don’t you remember your high school teacher saying those words just as you entered the room?! During which book did Moses build the ark? On what day did the serpent eat the apple? Why did Abram’s wife turn to salt? Hmmmm……something’s a little wrong here, don’t you think?! We’ve been reading for 8 weeks now and though lately we’ve endured long descriptive details about the tabernacle and sacrifices, there have been many other details that may be getting lost! I thought it would be fun to do a little review and see what we could remember. Your friendly reminder: Don’t forget to move the clock forward one hour tomorrow night! Why is it called Daylight SAVINGS time, when we have to lose one hour? I mean, I know the “more daylight” thing, but really it just doesn’t seem fair that we have to give up an hour to get an hour? Go figure?! We’re home from the winds of Northwest Texas! We had a great visit with my daughter and especially enjoyed the treat of watching her college soccer game on Tuesday. We tried to keep our schooling on schedule, but failed to get it all done due to about 900 miles on the road. Still, it was educational…the boys got to see lots of fields, crops, and oil wells — something we don’t normally have regular exposure to, and believe it or not,…it actually fit in with Chapter Two of our Math lessons where the setting and manipulatives revolve around fields and planting, etc. The family cat has decided that my bedroom needs an exorcism or something! She is fine on top of my bed, but will NOT stand on the floor without laying her ears down, and crouching low to the ground. She sniffs and sniffs as though something were under my bed and she refuses to get anywhere near it! My head feels like it is going to split open, and there’s a porcupine in my throat. –for real….I think. So…we’re playing catch up this weekend on our school work, wondering if we should move out of our bedroom all together, and keeping the Kleenex company in business.